Feline Vaccine overdose and pancreatitis disease.. Since I used chronic gastroenteritis as my example in the main story, lets continue on with that topic. Acute feline pancreatitis and chronic recurring pancreatitis has become a frequent diagnosis in conventional veterinary circles. We used to believe that the owners were at fault for feeding “table food” to the pet. But this doesn’t explain the rash of pancreatitis diagnosis in animals fed prescription diets or the fact that pancreatitis recurrs in animals on these diets. 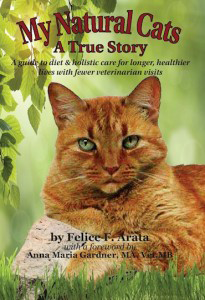 2: High carbohydrate dry food diets also known as Kibble. These diets are the exact opposite from what a dog or cat would eat in nature. They are too dry, have too slow a transit time through the intestinal tract and turn to sugar when digested. These diets are a leading trigger for pancreatitis and diabetes. If you have a pet with chronic recurring gastroenteritis or pancreatitis, come see us.. we can treat the underlying cause and resolve the problem. Our treatment methods utilize classical homeopathy, acupuncture and herbal therapies to address the root cause to cure the illness.